There are a couple of things that have a heavy influence on a young boy’s imagination. Yes, you guessed it right the first is—cars and the second is Superheroes. Kids, especially boys love superheroes and you would agree to that if you are a parent of a superhero-loving kid(s). As a parent, you might sometimes feel the energy and time your kid spends on superhero activities (playing with superhero toys or probably watching TV shows) is superfluous. But, superheroes could have a positive psychological effect on the kid. Superheros give them the primary learning about the good and the bad and also a motivation (faint may be) to fight stand for themselves. Well, whatever the case may be, the kids love superheroes. One of the amazing ways to keep your kids with superheroes is, decorating their rooms walls with their favorite superheroes. 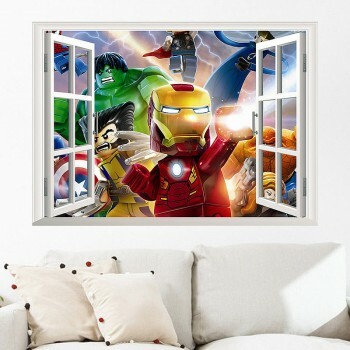 Comic wall decals have always been a rage in children and superheroes wall decals and stickers could also be an amazing bedroom idea for boys. 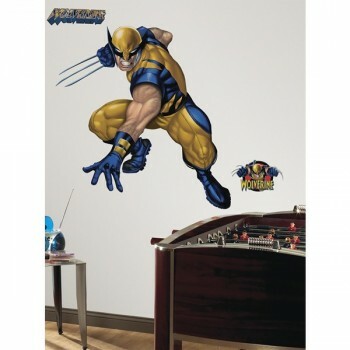 We would tell you the 5 amazing Marvel comics superheroes that you could get customized as room decals for your kids. The young spidey is one of the oldest and most popular Marvel characters, he ruled the hearts of the kids even before the Marvel Cinematic Universe and the Sam Raimi Spiderman film series. 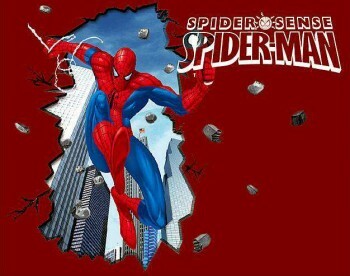 The web-slinging Spiderman makes a great choice for a wall decal. Frozen for years and then resurrected to fight the evil forces, Captain America is the ultimate good man. With strong motifs of the American flag on the costume and the shield, no other superhero evokes patriotism more than him. 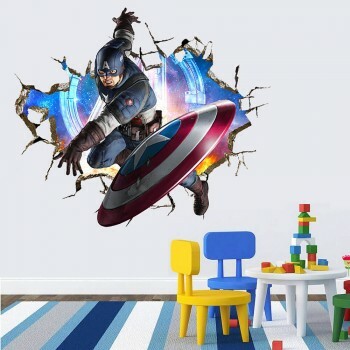 Captain America would be an awesome wall sticker. One of the suavest superheroes is the Iron Man. He is loved for his machines, gadgets and above all his quirky wit. Iron Man is a superhero closest to reality as he doesn’t have natural powers and probably, that makes him more awesome. Customize the Iron Man wall decal in action or just swaggering. The rugged man from the X-men swinging his retractable adamantium claws in the air when he takes on the enemy makes him the coolest. For all those logan lover kids nothing could be as good as an adamantium claw on their walls. Remember Nicolas Cage as Johnny Blaze riding the beastly fire trailing bike from the movie Ghost Rider, if you can’t ask your kids. 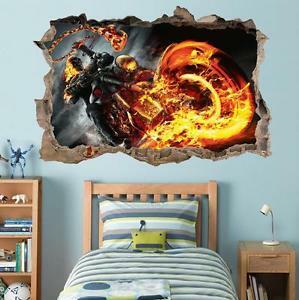 The burning skull and the chain on the wall might freak you out, but your kids would love that.